Daniel Boss likes his hamburgers a certain way. Two all beef patties, special sauce, lettuce, cheese, pickles, onions, with a side of assault. At no point in my stolen burger jingle did I mention “soaked in soda.” During an argument with his wife in Port St. Lucie, Florida, his wife got mad and poured her drink on Boss’s burger. 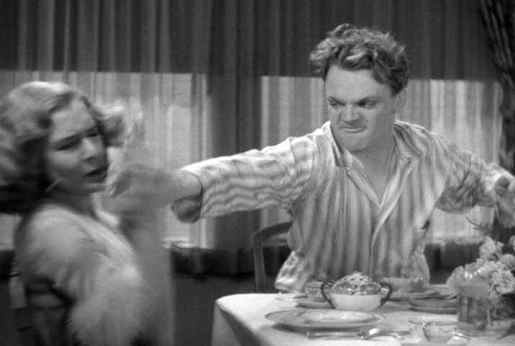 To retaliate, he picked up the soggy burger and mushed it into her face like he was doing his best Jimmy Cagney impression. Boss left the house, and his wife went to the police station. Cops picked him up 3 hours later and charged him with misdemeanor domestic battery. The police should consider themselves lucky he hadn’t hit a grocery store up for $600 worth of meaty weapons; just imagine the damage he could do with a summer sausage and some beef jerky!